Patients will still be at risk for schizophrenia or bipolar disorder even several years after an episode of substance-induced psychosis. Early pain response to duloxetine predicts better outcomes in patients with chronic low back pain. Adding a sciatic nerve block to a continuous femoral nerve block after total hip arthroplasty significantly reduces pain. Radiofrequency denervation may be ineffective in alleviating chronic low back pain. 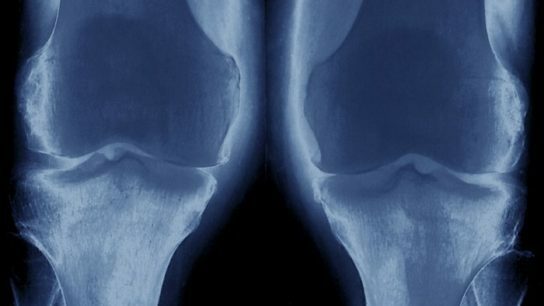 Positive psychosocial interventions improved symptom severity, quality of life, and mood in Veteran Administration patients with osteoarthritis of the hip and knee. Yoga was deemed noninferior to physical therapy for the treatment of patients with chronic low back pain. A systematic review points to a dearth of evidence regarding the neuropathic etiology of low back-related leg pain.